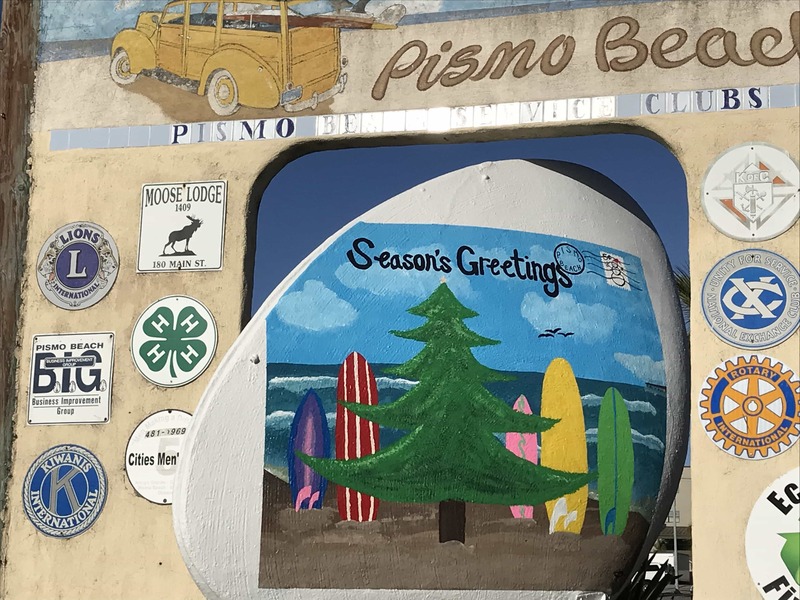 Pismo Beach might be known for its namesake Tivela stultorum clams, but it’s the town’s three giant concrete clams that attract visitors and locals with their seasonally changing artwork. While the huge bivalve mollusks are regularly repainted to reflect holidays and seasons (former incarnations have been Rudolph the red-nosed reindeer and the Easter bunny), we never really thought about who did it. For all we knew, a clan of clam painting fairies took care of the job in the middle of the night. 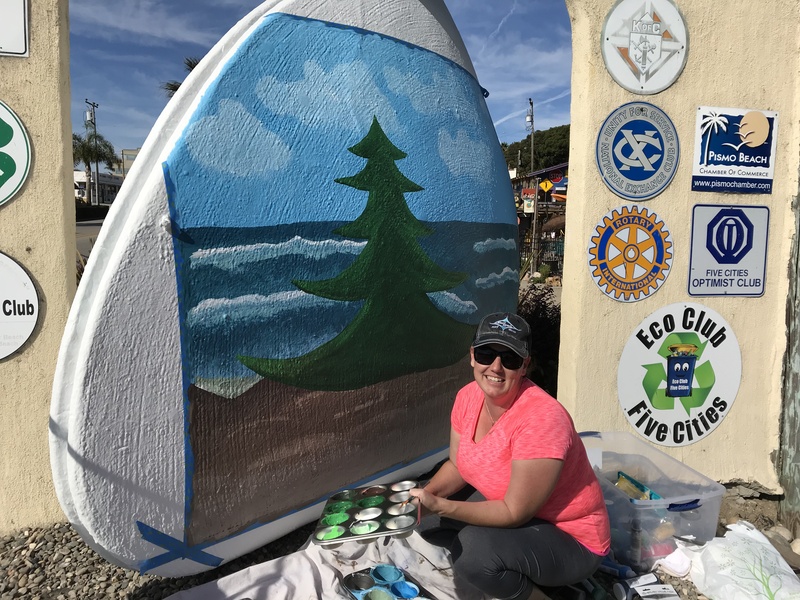 Painting the giant concrete Pismo clams is a dream come true for local artist Rebecca Johnson-Savage. Click the photo above for a fun video showing the artist in action. But, no, it’s a real person, and this Pismo clam artist is overjoyed to be sharing her talent with a project that is so close to her heart. Ever since she was kid, Rebecca Johnson-Savage has marveled at the concrete clams. “It’s so fun to see what scene will be painted next,” she said. A part-time artist, one of her early dreams as a child was to be a storefront window painter, creating scenes to please the senses of passersby. When she was about 13 years old, she learned that a lucky artist was responsible for decorating the Pismo clams. When she heard the city was putting out a call for new artists to submit ideas, she should barely contain herself. She submitted several ideas to Pismo Beach and was ecstatic when they picked her “Clam Island” artwork for the holiday season. The finished Clam Island postcard artwork from Rebecca Johnson-Savage. Check out her Clam Island postcard theme on the giant clams: on the south side of town next to Pismo Beach Surf Shop, in front of the Visitor Information Center at 581 Dolliver, and marking the entrance of the Pismo Coast Village RV Resort at 165 S. Dolliver, near the Monarch Butterfly Grove.